Austin, Texas (March 22, 2018) – Chef Tyson Cole and Aaron Franklin announced today that their restaurant, Loro, will open its doors to the public April 4th. The much-anticipated Asian smokehouse is a part of Hai Hospitality, the restaurant group that counts Uchi and Uchiko in Austin; Uchi in Houston; Uchi and Uchiba in Dallas; and the soon-to-open Uchi in Denver among its concepts. This is Aaron Franklin's first restaurant venture outside of his acclaimed, award-winning Franklin Barbecue in Austin. On Thursday, March 29th, Loro will host a preview party benefitting No Kid Hungry, the national non-profit organization dedicated to feeding children in the United States. Tickets are $100 and available through Eventbrite (here). Upon entering Loro, guests will order food and beverages at the bar, seat themselves either indoors or outside, and will have their order brought to them at their table. Guests can visit the bar to refill orders. To-Go service will be available and encouraged, with a separate pick up area at the bar. The LORO menu was created by Chef Tyson Cole and Aaron Franklin with Chef de Cuisine James Dumapit to offer a variety of dishes that balance Southeast Asian flavors with the rich texture of traditional Texas BBQ. The menu is divided into Snacks, Starters, Sandwiches, Rice Bowls, Plates and Sides. The entire menu is available throughout the day with the exception of the Smoked Beef Brisket, which is available only at dinner. "The complex flavors of Southeast Asian food, ranging from the acidity in citrus, to heat from a variety of spices, to all the clean fresh flavors of the herbs, create a balance that is the perfect counterpoint to the richness of smoked meat," said Chef and Loro Partner Tyson Cole. "You can come in and order a sandwich and a side for yourself or order a few things: a bowl, a sandwich and a few sides and plates and share everything…No Rules!," Cole adds. "Suuper excited to for the opening of LORO. It is where I would be hanging out with my family, if I weren't already here working," said Aaron Franklin. Highlights of the Loro menu include Candied Kettle Corn with burnt brisket ends topping; Oak-grilled Snap Peas served with a kimchee emulsion; Crunchy Sweet Corn Fritters coated in celery leaf batter, Thai herbs including galangal powder, lime juice and fish sauce; dry fried Chicken Karaage dressed with sweet chili gastrique and topped with fresh herb salad and spicy aioli on the side; Char Siu Pork Shoulder marinated in soy hoisin oyster sauce and fermented bean curd then roasted and grilled for a glazed caramelized finish; and Smoked Beef Brisket, a dinner-only dish that is marinated in Nuoc Mam and Thai gastrique and finished with herbs and chili oil. The brisket burnt ends are an add on to candy popcorn in dark brown sugar caramel and togarashi that is spicy, salty and sweet. The addition of the brisket has a smoky umami to it. Chef de Cuisine James Dumapit. LORO's bar program, designed by Hai Beverage Director Chris Melton in concert with the culinary team, includes a menu of rotating batch cocktails; sake slushies; wine and sake on tap; and a selection of bottle and draft beer. Batch cocktails include TyKu Sake Slushy; Frozen Gin & Tonic; Ginger Old Fashioned; Peach Margarita; Lemongrass Daiquiri; Negroni and more to be added soon. Designed by Michael Hsu Office of Architecture in collaboration with interior designer Craig Stanghetta of Ste. Marie Design, Loro was inspired by the historic dance halls of the Texas Hill Country, where people regularly gather to eat, dance and connect. Loro's unassuming brick façade and low-slung roof, tucked in a grove of century-old Heritage Live Oak trees, houses an inviting space reminiscent of a home passed down through generations, where reunions are every week rather than every year. Inside, broad timber trusses create an expansive dining space. Large windows and a continuous skylight along the building's roofline produce a space bathed in dappled light. The selection of finishes, fixtures and furniture, selected for their natural tones and contrast of light and dark, were inspired by both Shaker style and Japanese design. Shou Sugi Ban, the Japanese wood charring technique, lines the interior walls which are accented by traditional Shaker peg racks. Large natural and white-glazed terracotta pendants hang above salvaged wood tables and inky-blue Windsor chairs. An impressive bar of American White Oak runs the length of the space and is complemented by steel beam footrests and brick and dark stained hardwood floors. Under the oak canopy outside are a series of decks, patios and gravel gardens outfitted with relaxed seating options including rocking chairs, individual tables, and a 30-foot-long rough-hewn log banquette. Wicker lanterns and globes, as well as subtle landscape lighting, give the exterior of the restaurant an inviting glow. 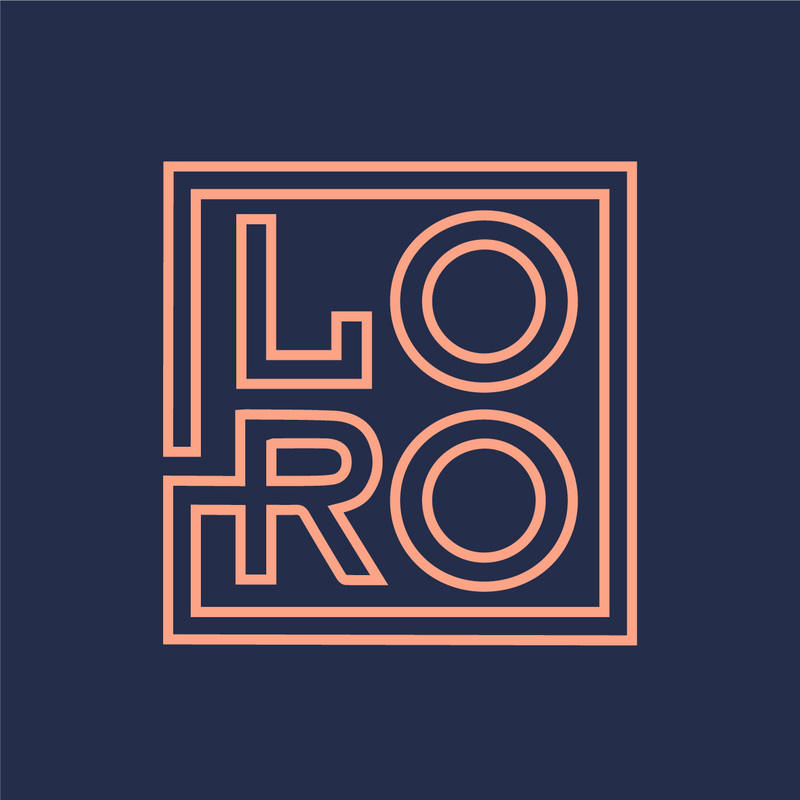 Loro is an Asian smokehouse and bar brought to you by Tyson Cole and Aaron Franklin with a menu featuring grilled and smoked meats, sides, craft beer and batch cocktails. You can order food at the bar and sit in the warm and expansive indoor space or outside on the porch shaded by a canopy of hundred-year-old oak trees. Loro is located at 2115 South Lamar Blvd., Austin TX 78704. Loro will be open 11AM - 10PM Sunday-Thursday, and 11AM - 11PM Friday and Saturday. Hai Hospitality is a restaurant group based in Austin, Texas. Our restaurants include Uchi Austin, Uchi Dallas, Uchi Houston, Uchiko, and Top Knot. Hai was created in 2015 to broaden the definition of who we are as a restaurant group, and to give each of the restaurants the space to create and cultivate their own identities. Hai Hospitality supports each restaurant in a variety of capacities so that each shop has the freedom to grow while still being part of the bigger family—a family that has a common set of core values, a shared vision for food, service, and design, and a collective pool of knowledge and expertise that we can bring to bear regardless of where we call home. Aaron Franklin is the owner of Austin's Franklin Barbecue and widely regarded as one of the most influential pitmasters in the U.S. He received the James Beard Foundation Award for Best Chef: Southwest in 2015. In 2017, he partnered with Mike Thelin, co-founder of Feast Portland, and Guerilla Suit principal and Mohawk owner James Moody to launch Hot Luck Fest, an annual food and music festival. Aaron hosts the PBS online series "BBQ with Franklin," and co-authored the popular bookFranklin Barbecue: A Meat-smoking Manifesto. In April 2018, he will open the Asian smokehouse and bar, LORO, with fellow James Beard Foundation Award-winner Chef Tyson Cole. Aaron Franklin's interest in BBQ started with the backyard cookouts that he and wife Stacy would throw. When they opened a small barbecue trailer on the side of an Austin, Texas, interstate in 2009, they had no idea what they'd gotten themselves into. Today, Franklin Barbecue has grown into the most popular, critically acclaimed and obsessed-over barbecue joint in the country (if not the world) — and Franklin is the winner of every major barbecue award there is, including Texas Monthly's coveted Best Barbecue Joint in Texas Award and Bon Appétit's Best Barbecue Joint in America. Six days a week, crowds stand in line for hours for a taste of his mouth-watering brisket. Franklin's Barbecue has been celebrated by everyone from Jimmy Kimmel to Anthony Bourdain to President Obama.